Every evening from the 18th to the 22nd April 2019, Wim Wenders will present an «Unidentified Plastic Object», a monumental cinematographic installation based on his entire film work, projected on the interior structure of the Nave of the Grand Palais. Neither a work of video art nor an artist’s film, this cinematographic visual creation is an original and spectacular proposal to « exhibit » Wim Wenders’ cinema as first and foremost an artistic object – in the sense that Henri Langlois spoke of cinema « as a plastic art and not a dramatic art ». The plastic aspect of cinema is in the editing. The unique work that Wim Wenders has created for this event is thus an unprecedented montage based on images from his own films, free from any narrative framework and focused on his aesthetics. 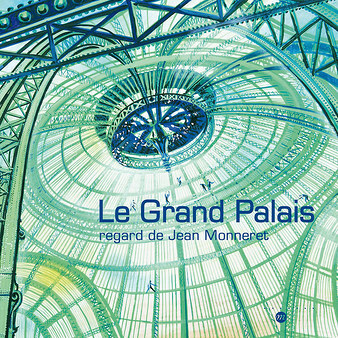 The white screen of the cinema will be replaced by the grand architecture of the Nave of the Grand Palais: watching a film becomes an immersive experience rather than a two-dimensional one. During these exceptional evenings spectators will wander through the Nave during these exceptional evenings and contemplate Wim Wenders’ images as they are projected to monumental scale using size by a « mapping» projection system, which consists of twelve 4K (ultra-high definition) projectors covering a large part of the Nave’s structure (along its entire width and to 270°). A unique device in Europe, designed and patented by ATHEM studio, scenographer of this event. A cinematographic kaleidoscope acts as an immersive experience and permits the viewer to contemplate in a new way the visual universe of one of the greatest contemporary filmmaker and his poetic yet universal language. The themes of this cinematographic installation, projected in several loops to music chosen by the artist, are « in movement » and « the search for lost meaning ». All of Wim Wenders’ cinema is stylistically based around movement. Characters and camera are always and essentially on the road, travelling, rambling, roaming, crossing landscapes and destinies, sometimes roaming. Deeply European, Wim Wenders includes in this artistic experience a reflection on borders and freedom of movement, topics of concern to Europeans at the moment. The projected film is both a brand new work, because it is based on an original montage, and also an opportunity to rediscover, like in flashes of memory, images from key works in Wim Wenders’ oeuvre, from Alice in the Cities to Wings of Desire. 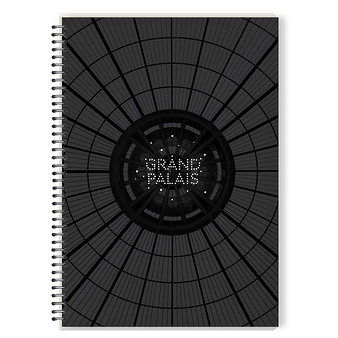 Dreamlike and aesthetic, this poetic and artistic experience is a way for the visitor to come and « live » in Wim Wenders’ cinema by taking a walk through the 13,500 sq.m Nave of the Grand Palais. This installation is a collaborative production between the Réunion des Musées Nationaux – Grand Palais and the Wim Wenders Foundation, with support from Blain|Southern.